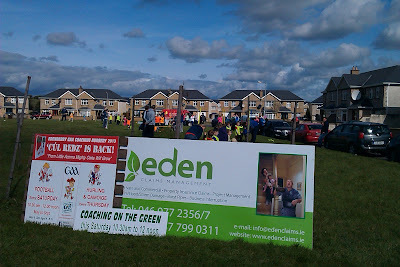 Our Coaching on the Green initiative was a marvellous success at Boyne Meadows on Saturday morning. Many thanks to the Residents Association for all their support. The morning was an ideal opportunity for all of the children of the area to get out and try our National games. We saw some future stars there this morning and all players had lots of fun with our team of coaches that included many Edenderry and Offaly Senior Players.